Let’s say you have been renting for three years. The average rents run $850 per month. I would consider that to be on the low side. Let’s do the math to see how much you could have put into a house note or a tax rebate! 850 x 36 =$30,600 that is three years of rent! In the first years of home ownership, most of the proceeds go into the interest of the loan. The good news is that you can claim a tax rebate on some of the interest. However, over time, the amount of principle will grow, plus the fact that in a normal market situation appreciation will occur, in most cases. It is a great time to own home! The prices are down, loans are at an all time low of 3 ¼ %! Most cases it is cheaper to buy a home then rent a home. So if you are tired of paying rent, take advantage of this offer while it lasts! Author Jacquelyn ButlerPosted on September 21, 2016 Leave a comment on You do the math! Have you been working with parents who need space at home for their adult children? If not, you’ll probably see more of this clientele soon, because adults in their late 20s and early 30s are living with their parents at record or near-record levels, according to data from the Pew Research Center. Data show that in 2014—for the first time in more than 130 years—18- to 34-year-olds in the United States were more likely to be living with their parents than with a spouse or partner in their own household. The usual assumption is that recent college graduates are those who head back to mom and dad’s house after leaving campus, but it turns out college graduates are actually the least likely to live with their parents. According to Pew Research, only 19% of those with a bachelor’s degree lived with their parents. Instead, millennials who live in their parents’ home are more likely to have a high school diploma or only some high school education. In particular, 25- to 29-year-olds living at home with their parents rose to the highest levels on record, while census data suggest the number of 25- to 34-year-olds living with their parents kept rising in 2015. Read more about these findings on Pew’s website. Then, learn more about working with clients who have multigenerational households in Texas REALTOR® magazine. Agents can demonstrate the Zestimate’s shortcomings by showing the discrepancy between the sales price of a home formerly owned by Zilow CEO Spencer Rascoff and its Zestimates. Zillow CEO Spencer Rascoff may have recently given real estate agents a gift they won’t soon forget: a sure-fire way to show that Zestimates can miss by a mile. How? By selling a property for much less than its Zestimate. On February 29, Rascoff sold a Seattle home for $1.05 million, 40 percent less than the Zestimate of $1.75 million shown on its property page a day later. The gap between the Zestimate of Rascoff’s former property and its sales price has decreased only modestly since then. Zillow readily acknowledges that Zestimates can be inaccurate, but some consumers can still take them at face value, causing headaches for agents. Citing the chasm between the sales price of Rascoff’s former home and the property’s Zestimate may be one way for real estate professionals to show clients that Zestimates are, as Zillow says, only a conversation starter for pricing a home, not the final word on its value. Zillow CEO sold his home for way less than Zestimate. Philip Gray, a San Leandro, California-based appraiser, is taking this approach. Bringing up the Zestimate of the property Rascoff recently offloaded will help him deal with the frequent pushback he receives from homeowners “who think Zillow is the magic 8-ball,” he said. Zestimates on Rascoff’s former home have certainly been overstating the property’s value, said Zillow Chief Analytics Officer Stan Humphries. “The fact that we missed and there are empirical reasons we missed — that’s a great conversation that real estate agents should have” with consumers, he said, citing the property’s irregular lot and location on a busy road as partly responsible for its Zestimate’s inaccuracy. But he expressed hope that, in the same discussion, agents also won’t instill “data nihilism” in consumers, and that they acknowledge that humans also can miss the mark. In July, the Zestimate of Rascoff’s former property wouldn’t have raised the eyebrows of anyone who’s familiar with automated valuation models (AVMs). At $1.388 million, the property’s Zestimate was 7.3 percent higher than its listing price of $1.295 million at the time. Since Zillow only shows revised historical Zestimate data on property pages, the home’s property page currently indicates that the property’s Zestimate was around $1.6 million in July 2015, somewhere in the neighborhood of $200,000 more than the Zestimate that actually appeared on its property page on July 17, 2015. If you’re planning to buy, sell, or lease property, you’re probably in the market for a real estate professional to help you through the process. But you may be stuck on who to choose. Depending on where you live, there may be many people interested in your business. Here’s one way to make it easier on yourself: Find a Texas REALTOR®. Anyone who wants to sell real estate in Texas must get licensed by the Texas Real Estate Commission (TREC). To obtain a license, someone must pass the real estate licensing exam, and after passing, must take real estate education classes. But these actions don’t make someone a Texas REALTOR®. How does someone become a Texas REALTOR®? After obtaining his or her real estate license, the license holder can join the local association of REALTORS®, the state-level association of REALTORS®, and the National Association of REALTORS®. Only then may someone be called a REALTOR®. What makes a Texas REALTOR® different? REALTORS® follow a Code of Ethics. The Code of Ethics outlines how REALTORS® should serve consumers, and this consumer-oriented code holds REALTORS® to a high standard of professional behavior. Membership in the Texas Association of REALTORS® has added benefits. Texas REALTORS® have exclusive access to more than 100 forms for many types of real estate transactions that other real estate agents don’t have. These forms can help you avoid legal problems down the line. Author Jacquelyn ButlerPosted on September 9, 2016 Tags Texas Real EstateLeave a comment on Every real estate agent isn’t a REALTOR®? When can I put my house back on the market after a contract falls through? A buyer and I used TREC’s One to Four Family Residential Contract (Resale) for the sale of my home, but the sale didn’t close by the date in the contract. While the buyer and I figure out how to terminate the contract—and who gets the earnest money—can I put the house back on the market? I want to sell it, not waste weeks while we consult our attorneys. You should talk to an attorney first about the legal liabilities of proceeding with a sale without terminating the original contract. The parties can agree to terminate and sign a document that releases both parties from further obligations under the contract. If you are working with a Texas REALTOR®, he or she can use TAR’s Release of Earnest Money form to accomplish this. A judge can order the contract terminated. Your primary goal should be formal termination of the contract. This ensures you can sell the property to someone else without risking a lawsuit that could stop a subsequent sale of the property. Author Jacquelyn ButlerPosted on September 6, 2016 Leave a comment on When can I put my house back on the market after a contract falls through? A Nontraditional Loan: Is Seller Financing the Right Move for You? You’ve found the perfect home. The seller agreed to your offer, but then something goes wrong. Maybe you can’t qualify for a mortgage, you haven’t saved enough for a down payment, or the mortgage appraisal assesses the house substantially lower than the agreed-upon price. It can happen—and if it does, you may not be out of luck. The seller can always agree to seller financing. It will allow you to buy the home, but there are some considerations you’ll need to take into account before you agree to the financing. Seller financing is when the owner finances the purchase of his home for the buyer. With a seller-financed home, the owner accepts the role of the traditional lender. The seller can finance the entire mortgage if his personal economic situation allows for a large loan, or he can lend the difference between the buyer’s approved mortgage amount and the price of his home. The buyer repays the owner monthly with interest. Typically, an owner-financed mortgage is repaid in full within a few years on the assumption a buyer can refinance the home with a traditional mortgage after regaining financial footing. Seller financing can work to the benefit of both buyer and seller. An owner trying to sell his home in a soft market may offer seller financing in order to entice a buyer and enable the buyer to close the deal. Seller financing can be an interest-earning investment. Because he’s financing the purchase, the seller might be able to obtain a higher purchase price or sell the house without doing repairs. If your credit history limits the amount you can qualify for, seller financing can help you buy a more expensive home. If you can’t qualify for a traditional mortgage, the seller may be willing to finance the entire home. You may get a lower interest rate and may not need to purchase private mortgage insurance. Both buyer and seller should do their homework before agreeing to seller financing. The seller should evaluate the buyer’s credit history as thoroughly as a conventional lender would. The buyer should fill out a credit application with employment information and credit references. The seller must do his due diligence to ensure the buyer will be able to make the monthly mortgage payments. A buyer should double-check to make sure the house is legally owned by the owner who’s offering the financing. You must know if the home is owned outright or if a mortgage or other liens exist on the home. You should also research the market to make sure you’re getting a good deal and have a home inspection done before accepting financing. 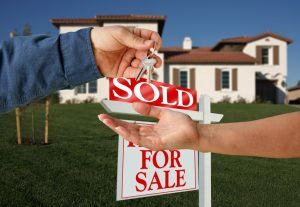 Hire a lawyer familiar with seller financing to ensure the sale goes smoothly for both buyer and seller. The lawyer will help negotiate and write the contract so that it’s legally binding. A lawyer will also ensure the home is used as collateral for the loan, so the seller can foreclose if a buyer defaults on the mortgage payments. There are quite a few financial implications involved with seller financing. Calculating an interest rate, figuring out an amortization period, and documenting the loan take time and knowledge. Using the services of lawyers, real estate agents, and tax experts with experience in owner financing will help a seller-financed transaction go smoothly. Author Jacquelyn ButlerPosted on September 2, 2016 September 2, 2016 Leave a comment on A Nontraditional Loan: Is Seller Financing the Right Move for You? Have you ever entered your address into a website that claims it will tell you how much your property is worth right now? And have you ever been shocked at the number it calculates? As it turns out, many of those websites don’t have access to important information about your property and instead use data that might not be so accurate. In fact, these popular websites explain the limitations with their own data in their disclaimers—which you can read for yourself in this free flier. A Texas REALTOR® is the best source for real estate information online or in person, especially when it comes to helping you determine how much your home is worth. They also have a lot of other useful advice about buying, selling, or leasing property in Texas, and they’ve shared some of it for this free guide, Now that’s a smart move. Check it out and then contact a Texas REALTOR® for more useful—and accurate—information. Author Jacquelyn ButlerPosted on September 1, 2016 Leave a comment on Can you trust online price estimates for your home?